As a shader, based on the precision you require, pick the product either with the tip or the sides, tap off excess, pat or use short strokes to apply. 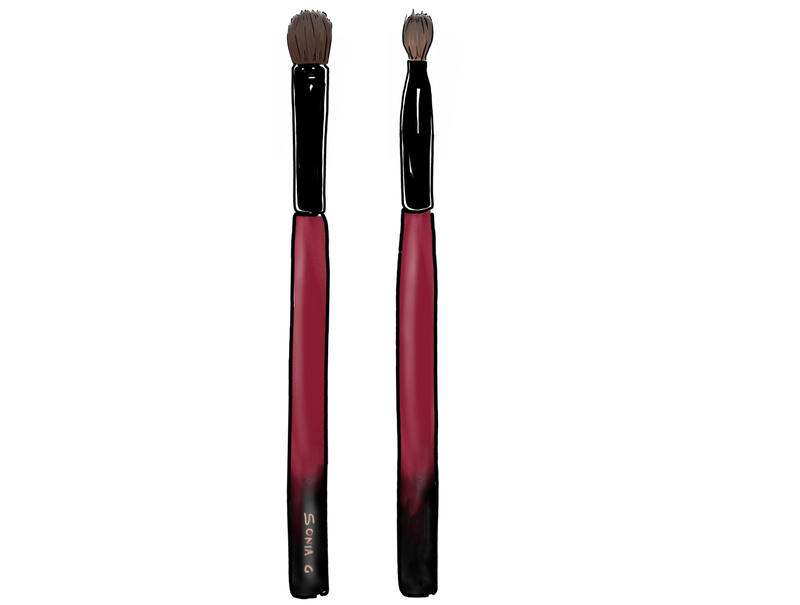 As a crease brush, place the tip horizontally starting in the outer crease and use short back and forth motions to apply, extend the length of the movement towards the inner corner as the intensity of the product decreases. Hold it an angle if you want to target blending or application to the upper or lower crease. As a blender use either circular or back and forth motions.